Leo E. Mollet, 86, of DeWitt, passed away at 3:35 p.m. (July 26, 2018) at Warner Hospital & Health Services, Clinton. Graveside services with military honors will be at 3 p.m. Tuesday (July 31, 2018) at St. Patrick’s Cemetery, Wapella, with his son, Chaplain Joseph Allen Mollet, officiating. Visitation will be 2 to 3 p.m. Tuesday at Calvert Funeral Home, Clinton. Leo was born July 13, 1932, in Highland, the son of Fremont Robert and Eva Mary Knabel Mollet. He married Mary Lou Blew in 1957 in Chillicothe. She passed away May 15, 1990. Survivors include his children, Robert Blew, Seattle, Wash.; Michelle Marie (George) Mollet-Singley, Stanford; Thomas Leo (Janet Gail) Mollet, Fox River Grove; Joseph Allen (Rachel) Mollet, Crown Point, Ind. 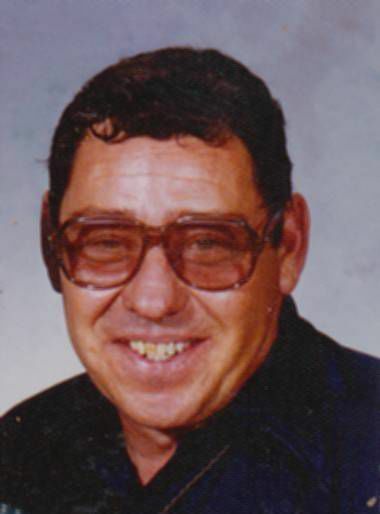 ; and Timothy Michael Mollet, Clinton; six grandchildren, including Tiffany Marie Mollet, a special, beloved granddaughter; siblings, Paul (Mary Ann) Mollet, Sycamore; Ralph (Gaylen) Mollet, Abilene, Texas; Roberta Bernardi, Maryville; Doris Reynolds, DeWitt, with whom he made his home for the last several years; Joseph Craig (Emily) Pruitt, Clinton, whom Leo raised as his own son; and Gerald Alan Inman, Wapella, whom he loved as a son. He was preceded in death by his parents; infant daughter, Victoria Suzanne Mollet; and three brothers. Leo was an Army Veteran who served in Korea. He served on the village board for Wapella and DeWitt, was a past mayor of Wapella and was a Wapella fire chief for 10 years. Leo was a truck driver.